If I had one of these, I don’t think I’d keep it in the barn. Nope, this would need to go in my house. Right next to my wooden pony! These are seriously cute. And they are strong enough for even an adult to sit on. 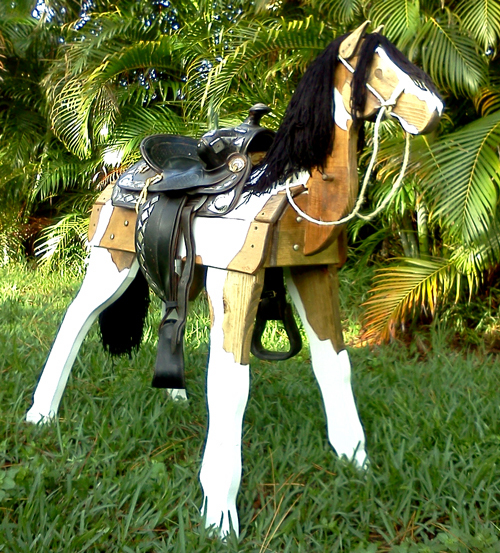 Visit http://www.saddlestandz.com to see the full selection of horses and ponies. They will even customize the saddle standz so that it looks like your own horse. These sell for $349 to $499 depending on the model. There are even plant stands for $99. Do you know if this company is still in business?? We can’t seem to reach anyone there.